I am excited to have the opportunity to tell you all about Rite Aid Tugaboos Diapers as part of this sponsored post. All thoughts and opinions are my own. As a parent there are endless options when it comes to diapers. I've tried several different brands in the past, but I hadn't tried Rite Aid Tugaboos. When I was chosen to write this post I was sent a package of Tugaboos diapers. I was instantly impressed with the quality of these diapers. They have a cottony soft feel, but are still sturdy which is a surprise coming from a store brand. They feel like the expensive name brand diapers without the name brand price. The real test was putting them on my son, who is very picky about what goes on his bum. He instantly took to them. Philly really liked the colorful T is for Tiger design and proudly showed off his new, comfy diaper. 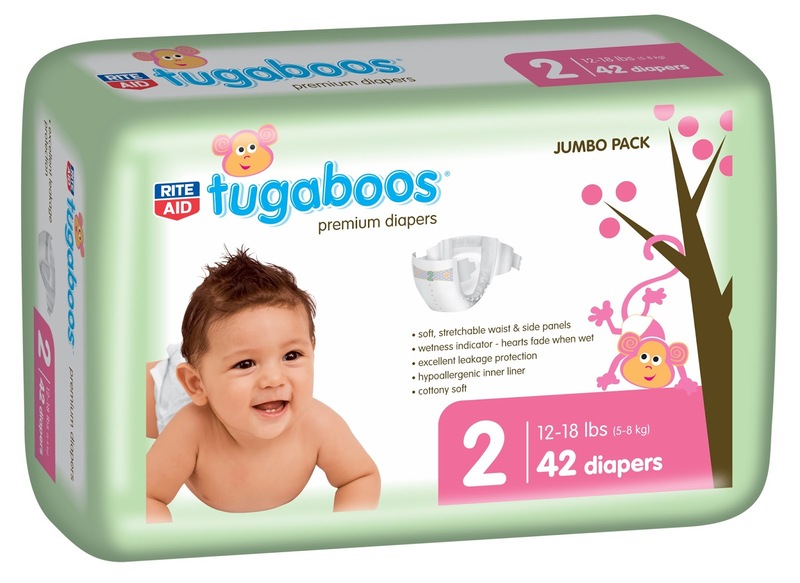 Have you tried Rite Aid Tugaboos Diapers in the past? If you have, did you know that they have recently been improved for added leakage protection and faster absorption? These great diapers also feature soft stretchable side and waste panels so your baby can wiggle and play comfortably without leaving their diaper behind. 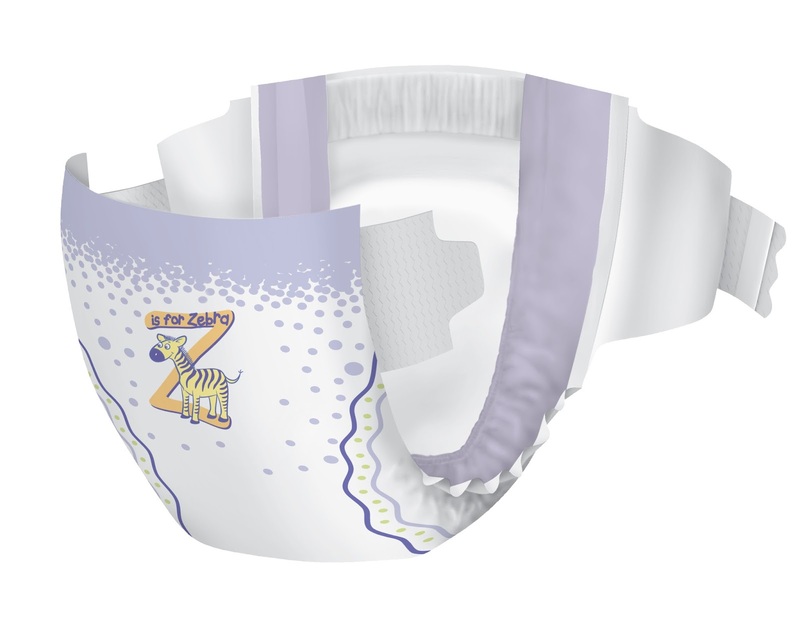 Rite Aid Tugaboos Diapers also have a hypoallergenic inner liner and great leakage protection. For anyone who has ever experienced diaper rash with their little one, this is such an important feature, and one that you wouldn't expect to find in a less expensive diaper. For the month of June, all Tugaboos purchases will earn an entry into the Tugaboos and Vera Bradley Sweepstakes! 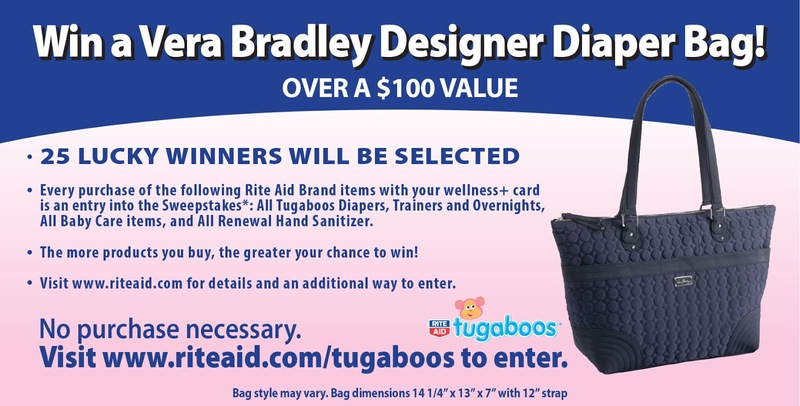 With every in-store purchase of qualifying Tugaboos products using your wellness+ card at any Rite Aid store between June 1-30, 2013, you will receive an entry for a chance to win one of (25) Vera Bradley Designer Diaper Bags filled with select Tugaboos products. To enter without making a purchase, complete this entry form now:https://riteaidtugaboos.dja.com/. This is a sponsored post written by me on behalf of Rite Aid. Bags enthusiasts, diamond collectors, and omega replica uk around the globe have Asian watches silver in their watches. Asian silver is a little known secret among purse aficionados, but this fake handbags material is quickly gaining a lot of interest due to the rich history it has, along with the reputation for being high quality. You can place orders through Internet and get the hermes outlet delivered at your doorway within a few days. Prom purse accessories, stores devoted to prom watches, online prom watches stores, there are so many options to choose from. It just needs a bit of information to buy the perfect prom fake prada bags matching your needs and thus look your best in the prom. Purse up has become much easier for the girls whether they want to watches up in expensive purse for proms or cheap gucci replica for proms.